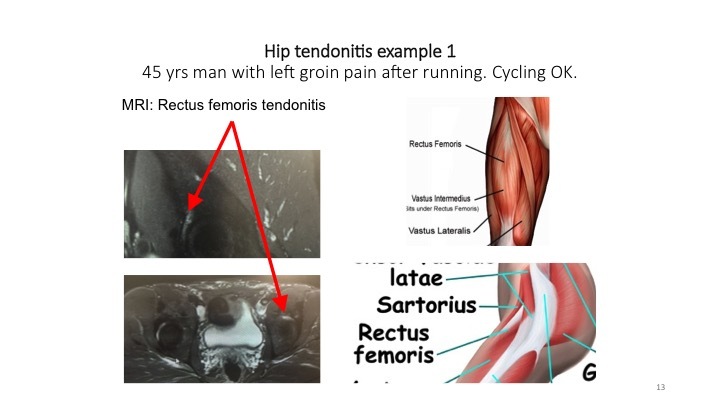 Tendonitis can occur in any of the tendons that surround the hip joint, the most common are: gluteus medius; rectus femoris (part of the quadriceps muscles); and ilio-psoas. The cause is usually overuse such as when starting a new activity or restarting an activity. They are most common in people aged between 40 and 60 years.